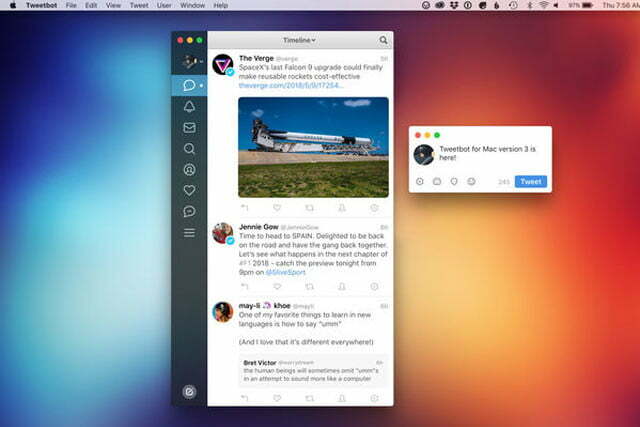 A new version of one of our favorite iPhone apps, Tweetbot, has been released for MacOS and it makes the whole experience of scrolling through tweets a lot more comfortable to do late at night. With a new dark mode, you can read tweets all evening without messing with your circadian rhythm and enjoy other new features like better timeline management and more accessible buttons for retweets and direct messages. Although Twitter might be more keen for its millions of users to use its official applications or web address for interacting on the social platform, there are a number of popular third-party alternatives that enhance the service’s functionality. Tweetbot is one of those and in its third official guise, it’s become more functional, and comfortable to use, than ever. 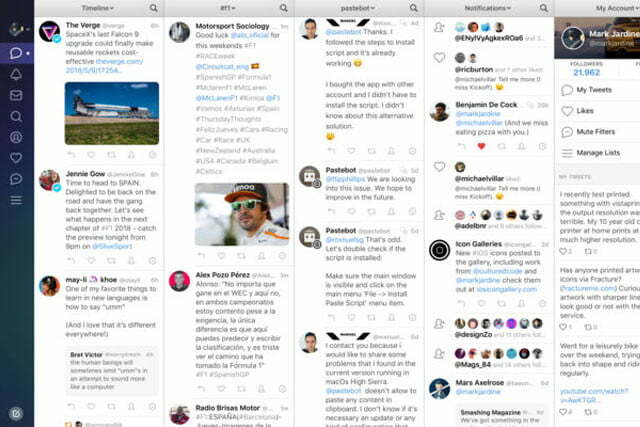 Tweetbot 3 for Mac’s most obvious feature is its new dark theme, which gives the interface and backdrop a grey theme that should be much more pleasing to view when in a darkened environment. Text is converted to an easy-to-read light grey, though images and video are left alone to really pop among the darkened surroundings. Elsewhere in the update, there is a newly expanded sidebar giving you one-click access to all your lists, direct messages, and saved searches. There are also much more powerful customization controls in Tweetbot 3, letting you filter your timeline to show only what you want to see, as well as the ability to drag and drop columns so you can change the layout to whatever suits you best. 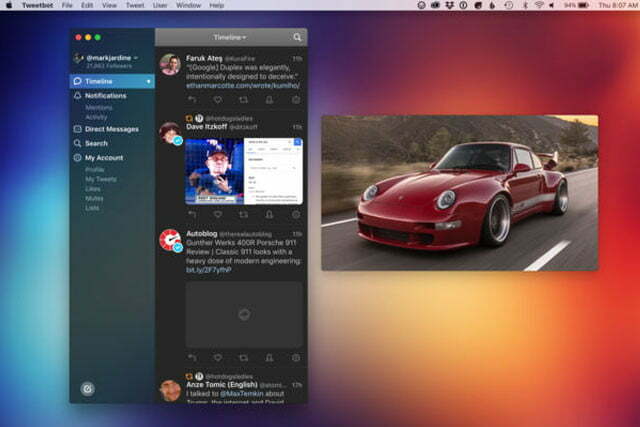 Other features include support for a new fullscreen mode, giving you a better look at all the tweets you may be interested in, and a new multiple-account system that lets you quickly switch between different accounts you have access to. 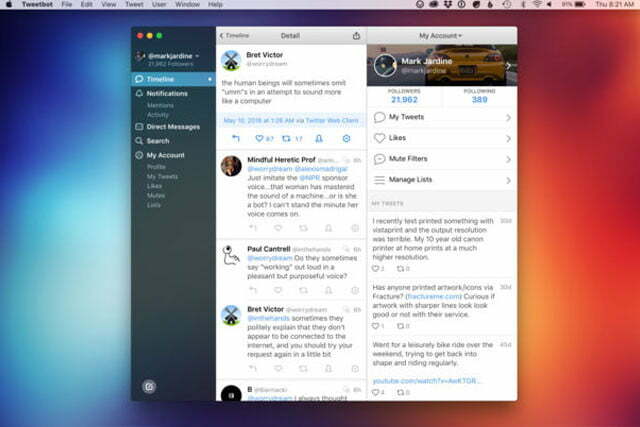 Tweetbot 3 is a paid upgrade that’s currently priced at $10 on the app store. It has already notched up more than 50 reviews with an solidly positive overall rating. The Verge seems quite fond of it, too, though it does point out that Twitter hasn’t always been a fan of these sorts of third-party apps and has threatened in the past to shut them down. That doesn’t seem likely to happen in the near future, but be aware the potential always exists for Tweetbot and its contemporaries to cease to work at the whim of the platform provider.